Tejas Hirani emerged the first in the Formula Gulf 1000 races held at the Dubai Autodrome Motorsports Club this past weekend. 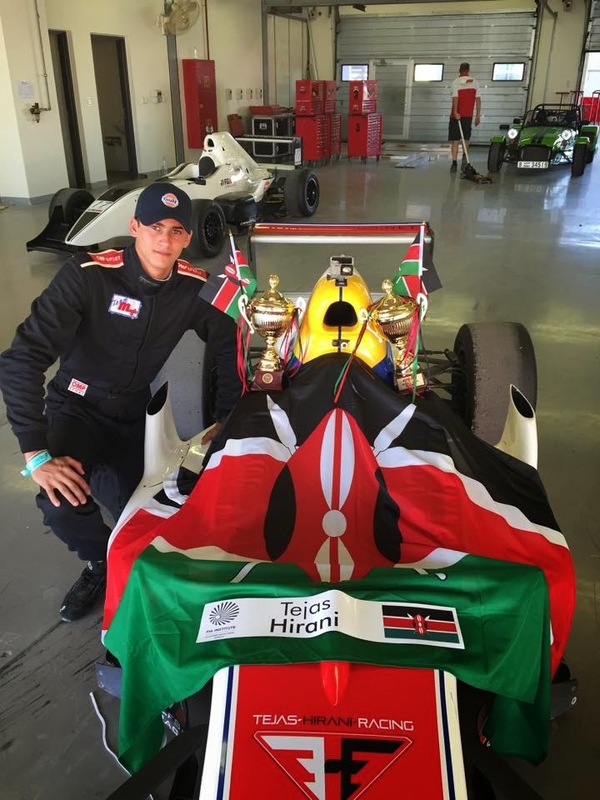 Hirani, who is a 16 year old formula one driver from Kenya, became the overall winner by the setting the best time. Formula Gulf 1000 is basically a competition driving school that prepares young drivers to ultimately face FIA F4, Formula Renault or Euro Formula Open. Speaking after the win Tejas said "I am ecstatic winning in the spare car. It took a while to dial the car in, different to my race car but nonetheless I am thrilled to have won for my beloved country...Kenya Juu!" This is good news for Kenya, since we don't really have any competitor for the formula one races, there have been rumors that the Machakos governor has been planning to set up formula one circuits in Machakos county but nothing has been confirmed yet.